I've also ordered a shielded version that I'm still waiting for. Perhaps the website can reflect some of the newer options? Thanks for verifying that they work. Could you clarify what you mean by reflecting the newer options? The link you provided has been listed on https://www.mysensors.org/build/connect_radio for some time already. Is there anything else we can do? @mfalkvidd from my own experience with ebyte modules I would say they are superior compared to the no-name ones. The nrf signature (power, inverted ack bit, rf spectrum) compares to genuine nordic modules so the ebyte claim that they use original nordic modules looks to be valid. Furthermore the red modules referred to by @alowhum are very small, have good build quality and a low power resonator which makes them a perfect fit for battery powered applications. The mySensors community would profit from a supplier offering good radios at a decent price. IMHO Ebyte currently is the best (only?) supplier matching these criteria, so I would vote to only mention their modules in the build section. Hopefully this will help (new) users to start using high quality modules and prevent a lot of frustration caused by poor quality hardware. @mfalkvidd Ah, I didn't realise they were already on the website. Great! 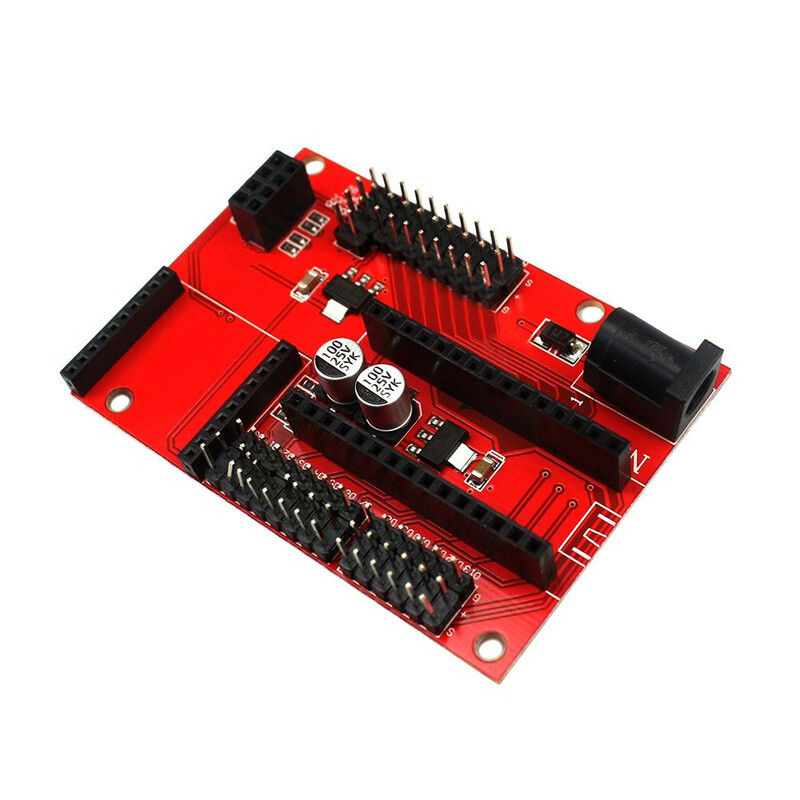 Perhaps you could also add these wonderful boards to the build page, and mention them as the preferred solution for beginners? I build everything with these now. 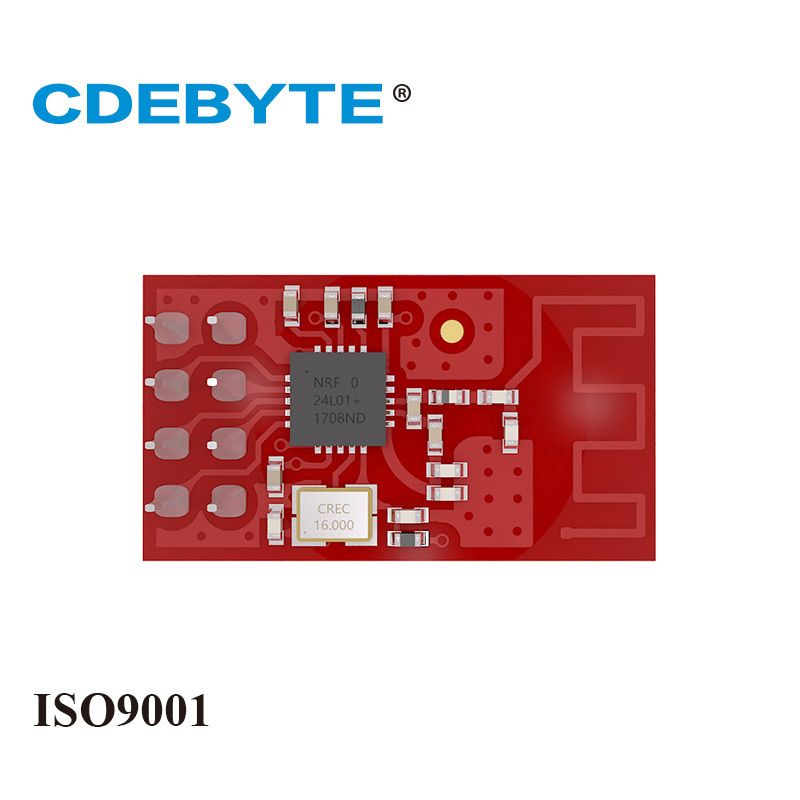 I have many "CDEBYTE" modules, the red ones,smd ones and the pa/lna ones. They all work very well, no problems at all (even the one that got 5V for 30 seconds by mistake ). But as far as I can tell they don't claim that their boards contain nordic manufactured chips - they say that their designs are 'based on' original nordic chips, but not 'using' them per se. @skywatch I could have sworn that I read "imported chips" on their website the other day. Once I've tested it I'll let you know. It might then also be useful to mention on the Raspberry Pi Controller page, ideally as the 'default' option. @alowhum which "build page" are you referring to? @alowhum You may be correct on this as they have changed the photos and description in the last month or so - it now says components "Imported from Japan, USA & Germany" and then 'original nordic imported' - So that is clearer than it was before. @sundberg84 That's nearly twice the price of ali! FWIW I checked my orders, earlier this year they were $2.24each. They had the ML01D screen printed on them. Now they are $1.42 each, they are a different colour red and have no screen printing on the back. @skywatch using a smd capacitor like that is a clever and clean solution to placing the capacitor close to the chip. Thanks for sharing! I'll do that in the future instead of messing with the big electrolycic cans. @mfalkvidd Thank you! - If I had known I would have used one with better soldering for the photo It was just to show that the newer cheaper ones were not identical to the original ones they sold a few months ago. I use either 1206 or 0805 ceramic multilayer capacitors, 47uF, 6.3V. All nrf's get this treatment before use. A jewellers eyepiece is good for checking the joints and I solder them by hand but it needs a pair of tweezers or fine pliers. Same board, 2c less right now. It is too bad they no longer do their insane, I have no idea why they were so low, price sales anymore. Happened the same time as an EBates 10% back Not that I need any more of their products. I have way too many modules from them already (100s), but 75% off was hard to pass up. items quantities were limited but they seem to reset the sale so often I just placed a ton of orders whenever it let me. Many NRF52832 modules were acquired this way. but if your already shopping AliExpress, I hope you're using eBates on top of that. There are often 10% back offered. Too bad they're not so cheap anymore..
@alowhum You are right! - That is some inflation they have in China! I got a load in August for $1.42 each. Now $3.50 - $3.89. What the .....? Today, I've tried the unshielded one and the few that I've tried seem to work. However, I haven't been able to make the shielded one work on a IO Shield for Arduino Nano. I've used antennas from older traditional NRF24L01+PA+LNA Antenna version. No way. I will try different decoupling-Capacitors tomorrow. What's the issue? 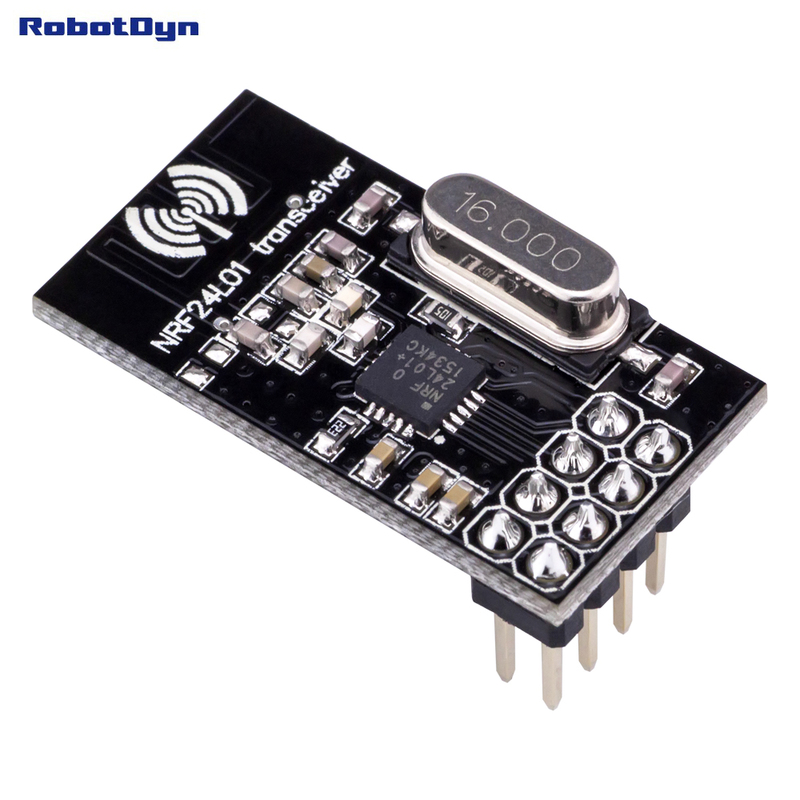 Is the module not responding to arduino commands or are transmissions /receptions failing? @yveaux I'll investigate further today and report here afterwards. Thanks. I have spent 2 days trying to solve my various NRF24 related problems at my home. What I'd like to achieve is to make my serial gateway using a NRF24-transciever with an external antenna to extends it's range. CDEBYTE's new NRF24-transciever (the unshielded one) works in my serial gateway (built with a Nano IO Shield) and fed with USB power only. I can attach a separate power source if I want to but it seems to work well without it. However, CDEBYTE's new shielded NRF24-transciever (Shielded nRF24L01 PA+LNA) refuses to work. I get only NACKs in the log even if I attach a separate power source. I've also tried just connecting my Nano board directly to the radio with cables (without the IO shield) just like in the Build a serial gateway demo. (I've tried all kind of power settings) I also tried to power the radio with a battery. Those NACKs are resilient indeed. Of course I've tried all kind of decouple capacitors and several combinations of electrolytic and ceramic ones... No way. BUT, there is always a but isn't there? ... I have managed to get the CDEBYTE Shielded nRF24L01 PA+LNA to work stable on a battery powered node, a Pro Mini ATmega 328 (1.8V 1 MHz). I can't tell why that works while not working with the Nano. My current working solution is using the "old" unshielded nRF24L01 PA+LNA mounted on the Nano IO Shield fed with usb power only. #define MY_RF24_PA_LEVEL RF24_PA_MAX While this seems to work (at least for the moment) I can not just switch to using the shielded radio. 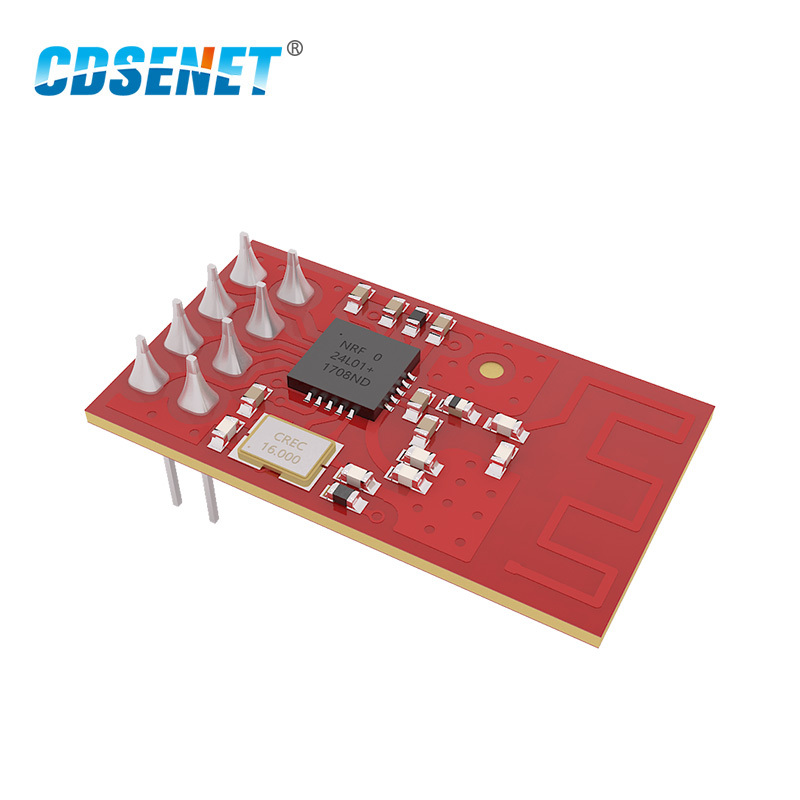 So if someone succeeds using the CDEBYTE Shielded nRF24L01 PA+LNA connected to a Nano board I'm interested to hear how you made it work. The thing is that everything that I have tried gives so random results that it's driving me crazy. Whatever seems to work one minute stops to work the next minute. @รอเร-อ I have been using the cdebyte shielded pa/lna for months now with a 5V pro mini and all is good with the radio module. I have a 47uF ceramic smd capacitor soldered across the nrf24 power pins on the reverse side of the board. I am running it with POWER=HIGH since it is the higher powered version I don't need to set it to MAX. What current rating is the power source you are using? Maybe the voltage is dropping when it is sending data as there is not enough current available? Just a thought. Also, try moving the position of the nrf slightly. Just a few cm can make quite a big difference. Finding a 'sweet spot' is often the solution, that's why on many modules I put the nrf in a separate tiny box so it can be positioned in a good place for best signal. I can confirm that from my experience this is that this is a very frustrating and time consuming path! I recently received the same Nano IO shields and discovered the IO lines to the nRF are fed through a voltage divider; levels are halved w.r.t. direct connection. According to Nordic's datasheet this should be ok (minimum HIGH level input voltage is 0.7 * VDD, so 0.7 * 3.3V = 2.31V) as long as your Arduino is fed with 5V this should just work, but it is tricky IMHO. You could measure the VCC of the Nano to see if it is below 5V, or try powering the board through the power jack and see if things improve. Did you also try the shielded module with #define MY_RF24_PA_LEVEL RF24_PA_MIN ? Power issues (e.g. a bad/fake AMS1117 regulator on the Nano IO shield not being able to supply enough current for RF24_PA_MAX) usually manifest at high power levels. Currently I'm out of Nanos, but as soon as the new batch comes in I can replicate your setup. Yes, toubleshooting can be very frustrating... Try to test components in isolation first, but you already seem to do that. but it is tricky IMHO. Since moving to these boards all my connection troubles have stopped. I'm very happy with them. What current rating is the power source you are using? I intend to run them on power level RF24_PA_MAX. I have tried other power levels in my efforts without any success. recently received the same Nano IO shields and discovered the IO lines to the nRF are fed through a voltage divider; levels are halved w.r.t. direct connection. That's interesting. I'm powering it with USB only but i have tried to connect an additional power source as well but it made no difference, I will do some more tests and measure the voltage levels. From what I recall, I have tried RF24_PA_LOW. I will test RF24_PA_MIN too. I'd be happy to send you one from my batch. Please send me a PM if you'd like that. My Nano came in and I did a quick test with one of my IO shield boards and a regular, unamplified clone nRF24. An amplified EByte E01-ML01DP5 and amplified, unshielded clone indeed do not work. I see a few solutions to this ploblem (lowering the nRF24 VCC or changing the resistors on the voltage dividers) which I'll give a try and report back. Lowering the nRF24 VCC is not feasible as it will also impact the signals going to the ATMega below minimum levels. @รอเร-อ This patch makes both regular and amplified nRF24 modules work correctly! The IO levels to the nRF are raised to 3.3V at 5V Arduino supply. This patch makes both regular and amplified nRF24 modules work correctly! Thanks for all the work you've put into investigating this issue. 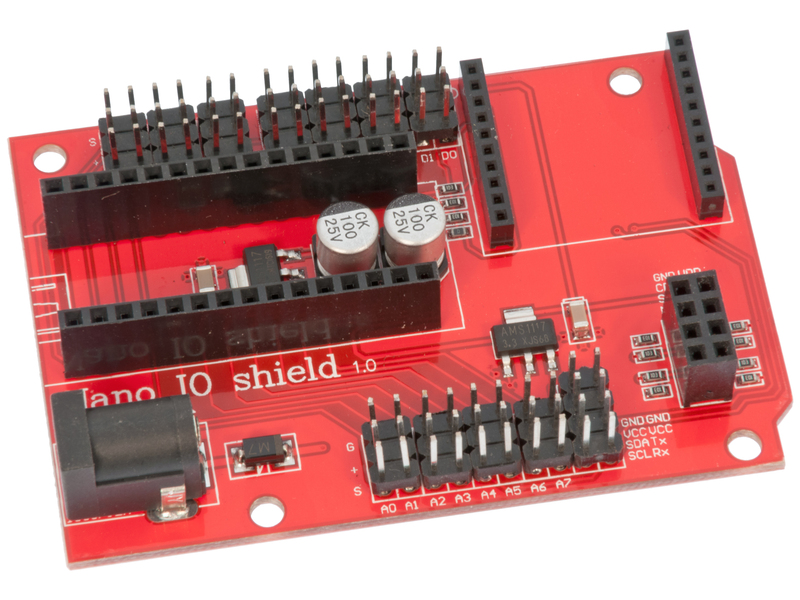 I have a different brand of the Nano IO Shield but the quality is equally very low. I guess I'll need to inspect them carefully before I use them. I guess I have 10 of them and I will try to apply the HW patch you've suggested but I'm not sure I'll be able to make it, I don't have any SMD resistors and they are to small to work with for me. I'll need to give it a try anyway. @รอเร-อ shorting the mentioned resistors (with eg a solder blob) will probably also work, but then you'll exceed the maximum 3.3v on the CE line for amplified modules. However, many people run amplified modules at 5v signal level without issues. I've managed to replace the SMD resistors according to your suggested hack described above. It wasn't easy though. Anyway, it seems to work well. Thanks!!! @รอเร-อ great to hear you managed and got it to work! They are getting really expensive now. Are there any good cheap modules to recommend now? Perhaps the RobotDyn modules? They are $1,80, plus $1,80 for shipping. If you buy a few this can save some money. Has anyone tried this one? @gohan I'm building a system that allows beginners to create a MySensors installation without doing any soldering. Unfortunately there is no 'plug and play' version of the RFM69 (that I'm aware of) that can replace the NRF24. @gohan Exactly, and the project I'm working on is "no soldering and no programming required (unless you want to)". I guess I'll try ordering one of these modules and see if it can handle full power.